This was an idea I had for Adafruit’s Six Second Video Challenge. I wanted to ‘upgrade’ a Pez dispenser to flash eyes and play music. Given how creepy red glowing eyes are, what better choice than an Emperor Palpatine Pez dispenser? Unfortunately, the Adafruit contest doesn’t allow licensed products and yes, I know, hard to believe, Emperor Palpatine is a licensed product. Thus having gotten around to reading the contest instructions midway through the project, I decided not to go to the additional effort of making an enclosure with hinge switch, using hearing aid batteries instead of AA batteries, and so on. 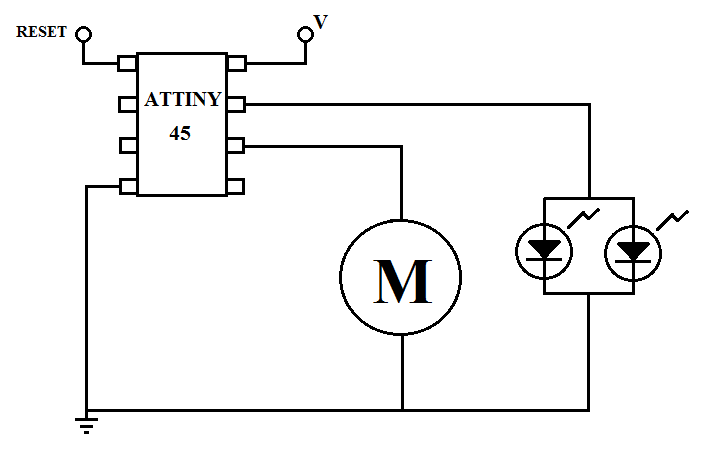 And of course, there are improvements that could have been made as well, for example having the motor vibrate with a pulse width modulation signal to provide true notes rather than just beats. Electronic candy dispensers are the future and the Pez company should contact me as a consultant. As it turns out, I have free time just now. 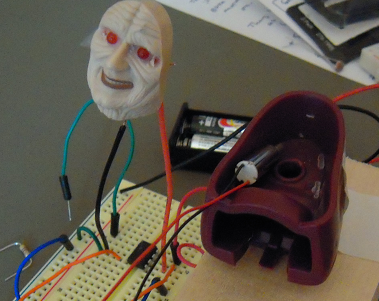 This entry was posted in Uncategorized and tagged ATTiny, palpatine, pez. Bookmark the permalink.